Group Includes Mike Sullivan, John Hynes, Phil Housley, Jack Capuano and Scott Gordon. COLORADO SPRINGS, Colo. – Mike Sullivan (Duxbury, Mass. ), John Hynes (Warwick, R.I.), Phil Housley (South St. Paul, Minn.), Jack Capuano (Cranston, R.I.) and Scott Gordon (Easton, Mass.) will serve as assistant coaches under Head Coach John Tortorella (Boston, Mass.) for Team USA in the upcoming World Cup of Hockey 2016 it was announced today by USA Hockey. 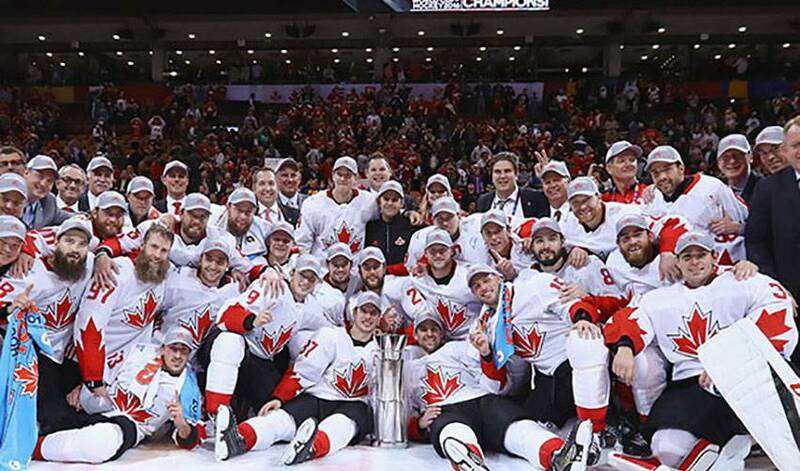 Set for Sept. 17-Oct. 1 in Toronto, the World Cup of Hockey 2016 will feature eight teams including the U.S., Canada, Czech Republic, Europe, Finland, North America, Russia and Sweden. Sullivan is currently in his first season as the head coach for the Pittsburgh Penguins of the NHL. He began the year with the AHL’s Wilkes-Barre Scranton Penguins before being named the Penguins head coach on Dec. 12. Sullivan previously spent three seasons (2003-06) as head coach of the Boston Bruins, and also served as an assistant coach with the Bruins, Tampa Bay Lightning, New York Rangers and Vancouver Canucks. In 2014-15, he helped the Chicago Blackhawks to a Stanley Cup championship as a player development coach. He has a long history with USA Hockey, including serving as head coach for the U.S. Men’s National Team for the 2007 IIHF Men’s World Championship and as an assistant coach for Team USA at the 2006 Olympic Winter Games and the 2008 IIHF Men’s World Championship. Sullivan played in the NHL for 11 seasons with four teams, and also competed for the U.S. at the 1997 IIHF Men’s World Championship and 1988 IIHF World Junior Championship. Currently in his first season as head coach of the New Jersey Devils, John Hynes has had nothing but success during the course of his coaching career. He joined the Devils after six seasons with the Wilkes-Barre Scranton Penguins of the AHL, including five as head coach. In his time behind the bench, Hynes, who was named the 2011 AHL Coach of the Year, accumulated a 231-126-27 record. He guided the Penguins to five straight 40-plus win seasons and five consecutive playoff berths, including back-to-back appearances in the conference finals. Hynes served for six seasons as a head coach at USA Hockey’s National Team Development Program. He also led the U.S. to three medals at the IIHF Men’s World Under-18 Championship (gold—2006, silver—2004, bronze—2008), and was an assistant coach for the very first U.S. team to win a gold medal in the IIHF World Junior Championship in 2004. One of the greatest defensemen in U.S. history, Phil Housley is currently in his third season as an assistant coach for the NHL’s Nashville Predators. Housley, who enjoyed a 21-year NHL playing career, has been involved in coaching multiple U.S. teams, including as head coach of the gold medal-winning 2013 U.S. National Junior Team. He has also served as an assistant coach for Team USA at three IIHF Men’s World Championships (2011, 2013-bronze, 2014) and at two IIHF World Junior Championships (2007-bronze, 2011-bronze). Housley, who has been inducted into the Hockey Hall of Fame, U.S. Hockey Hall of Fame and IIHF Hockey Hall of Fame, played for Team USA on nine occasions, including six U.S. Men’s National Teams (1982, 1986, 1989, 2000, 2001, 2003), one U.S. National Junior Team (1982) and one U.S. Olympic Team (2002-silver). He also helped Team USA win the inaugural World Cup of Hockey (1996). Jack Capuano is in his sixth season as head coach of the NHL’s New York Islanders. He ranks second in franchise history in both wins and games coached and led the 2014-15 Islanders to their most wins (47) and points (101) in a single season since 1983-84. Capuano began his coaching career in 1995 as an assistant with the ECHL’s Tallahassee Tiger Sharks before serving as head coach of the Pee Dee Pride of the ECHL from 1997-99 and general manager of the Pride from 1997-2005. He also spent four seasons with the Bridgeport Sound Tigers of the AHL, posting a 133-100-8-14 overall record. A former defenseman who enjoyed a four-year professional career (1988-92), Capuano served as the head coach of the U.S. Under-18 Select Team that competed at the 2005 Five Nations Cup. In his first season at the helm of the AHL’s Lehigh Valley Phantoms, Scott Gordon has more than 20 years of experience behind the bench. Beginning his coaching career in the IHL and ECHL, Gordon joined the Providence Bruins of the AHL in 2000, where he spent parts of three seasons as an assistant coach before taking over as head coach for five seasons and earning AHL Coach of the Year honors in 2008. Gordon served as head coach of the NHL’s New York Islanders (2008-11) and also as assistant coach of the Toronto Maple Leafs (2011-14). He was an assistant coach for Team USA at the 2010 Olympic Winter Games, helping the U.S. to a silver medal and also served as head coach of the U.S. Men’s National Team for the IIHF Men's World Championship in 2010, 2011 and 2012. In addition, he was an assistant coach for the U.S. Men’s National Team at the 2009 IIHF Men’s World Championship. A goaltender, Gordon played for Team USA at the 1991 IIHF Men’s World Championship and 1992 Olympic Winter Games. NOTES: The U.S. management group for the World Cup of Hockey 2016 includes Dean Lombardi(Ludlow, Mass./L.A. Kings) as general manager; Paul Holmgren (St. Paul, Minn./Philadelphia Flyers) as assistant general manager; Brian Burke (Edina, Minn./Calgary Flames) as senior advisor; and Jim Johannson (Colorado Springs, Colo./USA Hockey) as director of hockey operations … USA Hockey's international council, chaired by Gavin Regan (Potsdam, N.Y.), vice president of USA Hockey, has oversight responsibilities for all U.S. teams that compete internationally … The World Cup of Hockey is a joint effort of the National Hockey League Players' Association and the National Hockey League, in cooperation with the International Ice Hockey Federation (IIHF) and its member federations … The World Cup of Hockey has been conducted on two previous occasions, with the U.S. winning the first edition in 1996 and Canada taking the title in 2004.